← Why choose a garage storage lift system? When the storage spaces inside our homes start to get overloaded, many people will look to find space wherever they can. This usually means moving belongings outside of the home – and often into the garage. Besides the normal items you’d find there like sporting equipment and tools, many people will use their garages as a catch-all to store seasonal items, kitchen or cleaning supplies, or even clothing and shoes that have “outgrown” the closets. However, storing items in your garage can start to cause some issues. Don’t forget what the true purpose of your garage is: for parking your cars! It’s important to keep cars out of your driveway and the elements, especially during those colder months. However, sometimes it seems like it’s just easier to put things in the garage rather than making some tough decisions about belongings you need to clear out completely from your home. When you’re running out of storage spaces in your home and are storing things all over your garage, there’s actually a better solution! The ceiling in your garage, especially the area above the garage door, is an under-utilized space that is perfect for storage! This is an area of the garage that is easily overlooked due to its general inaccessibility, but the Unique Lift changes that mindset! The Unique Lift provides an amazingly convenient way to create more storage at home, and you’ll be able to access your belongings with just the push of a button. Use your garage for your cars again! 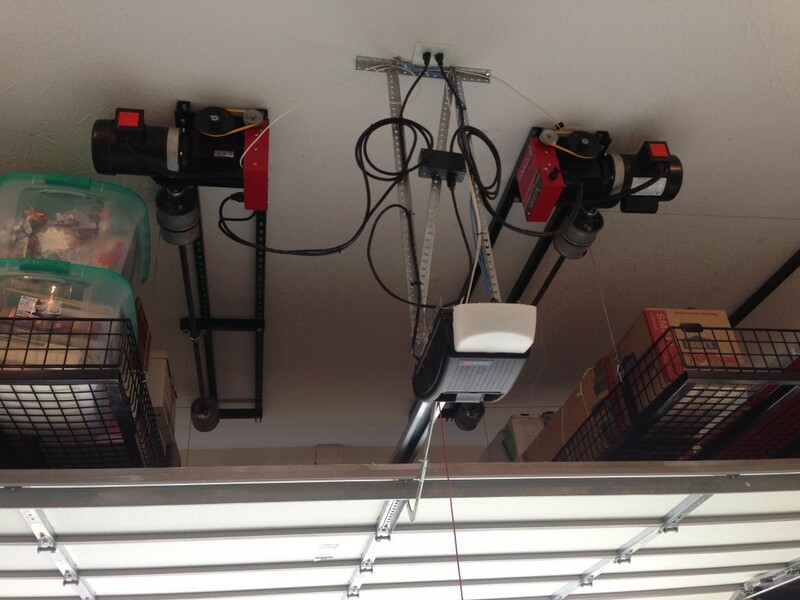 A real benefit of garage ceiling storage is regaining the ability to park your cars inside the garage again. There’s nothing worse than heading out to your frozen car on a frigid winter morning or getting inside a car that’s been baking in the hot afternoon sun. Get infrequently used items out of the home storage spaces. Stop cluttering up the closets in your home with out of season sporting gear or holiday decorations! Put these items in the Unique Lift so they’ll be up and out of the way until you need them the following year. Empty space is now functional. The ceiling in your garage provides a large amount of storage space that you didn’t even know you had! Safely store things in the perfect area that would otherwise not have much purpose. Save your hard earned money. Many people turn to renting a self storage unit for their extra belongings to get them out of the house. With Unique Lift, you can keep your stuff right at home, where it’ll be much easier to access. Plus, you’ll save a ton of money on monthly rental fees! Create extra space in your garage. Once you’ve freed up space in your garage, you can use it not only to park your cars inside once again, but you’ll also have more room for workspaces for hobbies or home improvement projects, or an area for pets. Regain home storage spaces. Your closets will be able to be utilized for their true purpose once again – for storing the clothes, shoes, and accessories that you need on a daily basis. Take back that precious storage space in your home by getting items out of your closet that don’t really belong there, like collections, family heirlooms, office supplies, etc. Don’t put off those home organization tasks any longer! Get our electric garage storage lift system installed in your garage so you can start using that ceiling garage storage space currently getting wasted. Find out how we make garage storage easy by visiting contacting us today for more information. 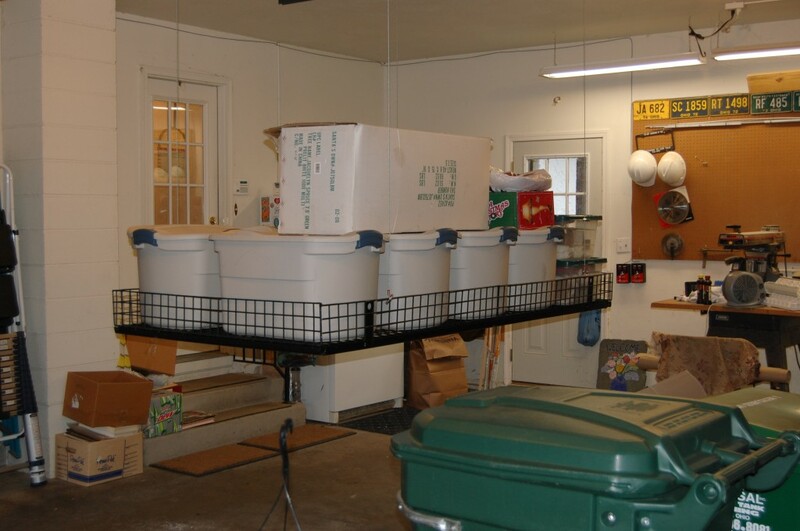 This entry was posted in Garage Storage Ideas, Garage Storage Lift. Bookmark the permalink.